Not that long ago the marketing world was focused on capturing audiences on their desktop computers; today it has become a mobile-first world. According to Statista, the number of mobile phone users in the world is projected to surpass the five billion mark by 2019. Take a look around you, what do you see? People on their phones? Probably. Mobile marketing is no longer a friendly recommendation when it comes to reaching your audience; but a necessity. What does this mean? When coming up with a new campaign or idea, it is not only important— but critical—to create a plan that captures mobile-specific users. Creating a mobile-first marketing strategy actually requires you to go back to the starting point—your website. Make sure your website is mobile-friendly. Your website should be fast, responsive, and relevant in order to lower bounce rates and increase conversion rates. According to Facebook, users spend more than triple the time watching a live video than they do watching a video that is no longer live. This shows you that people want to watch live events happening in the moment rather than get a highlight of it after-the-fact. With mobile devices, it makes it a lot easier for people to consume your content on-the-go. It can be simple to create excitement around an upcoming live streaming event. Take advantage of that! You can give your audience a sneak peek as to the day and time you plan to go live with your announcement, encouraging more people to login and view. Once live, make sure to engage your consumers. Since people can ask questions or add comments while the video is going on, make sure to let your audience know you’re interested in their opinions by responding in a timely manner. Content creators rejoice! Oftentimes, you can find content about your company/brand before you have produced it. Now it’s time to share the fun! Consumers have taken it into their own hands (literally) to share their experience with your company by using their phones to leave reviews, comments, highlights, or questions. Our advice? Use this content! 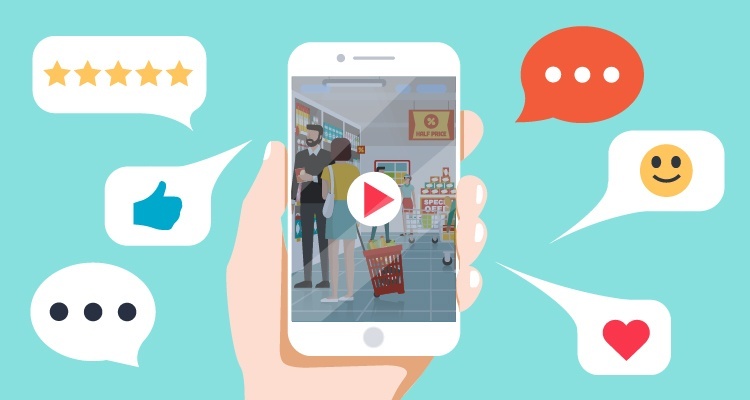 User-generated content is the ‘real’ content many customers are looking for. It shows your company through your customers’ eyes. Highlighting a customer’s story tells them you’re paying attention and you care, which can go a long way. Next time you see a highlight of your company, reach out, ask to re-post the content, and see what happens to your engagement level from that interaction (and into the future). People like to be recognized and noticed, and when you take the time to interact, you’re helping build trust and loyalty. Not too long ago, when a person had a question, they used to have to wait to get the answer at the library, when they had access to a computer, or when they had time to ask someone. Now, when someone has a question, they use their phone to find the answer. These simple moments, called micro-moments, are seemingly so small but in reality, they can make a big difference. People’s preferences and, ultimately, their decisions, are based around the answers to the questions they find on their phone. For example, if you’re walking around a new city and you’re hungry and don’t know your options, what are you mostly likely going to do? Walk around blindly searching for a restaurant, or reach for your phone and ask it to “List restaurants near me.” Even just for efficiency-sake, you’ll probably choose the latter. Marketers can take advantage of these micro-moments by making sure their website is at the top of someone’s search feed. In order to do this, your website should be mobile responsive, quick to load and include relevant content to the user. Marketing is an ever-changing world and we have to stay on top of it in order to succeed and increase our ROI. If you haven’t yet, start implementing these four mobile-marketing tactics in 2018. Are your digital marketing efforts effective? 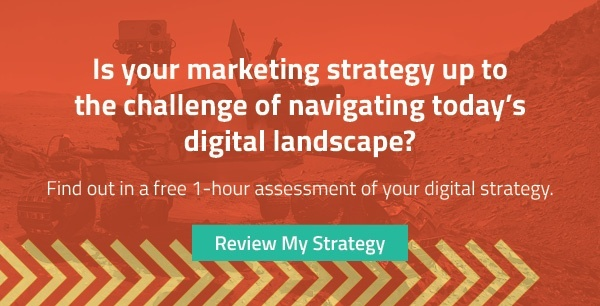 Find out with a free Digital Marketing Assessment.